Safe, efficient, reliable and productive civil construction and pipeline equipment. 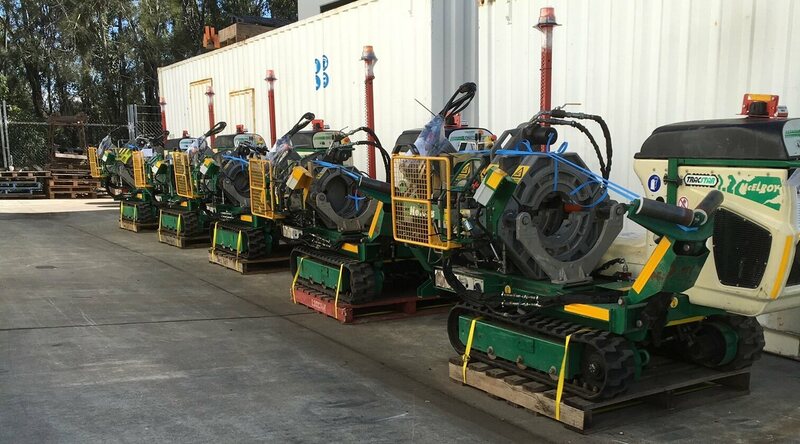 Pipeline Supplies and Hire is an Australian owned and operated company specialising in providing sales, service, and hire solutions to the pipeline and civil construction industry. Having the right equipment is crucial to the success of any project, and that is why we recognise McElroy as the world leader in fusion equipment and accessories. All of our machines undergo a complete service and inspection before going out on your site. PSAH Pty Ltd is Australia’s leading McElroy distributor, we can offer you a total support package. We make mine site decommissioning and site reclamation as effortless as possible. With pond liner cutting and extraction services. Save time, increase safety and protect your pipe from wildlife, dust and other contaminants. Monitor the entire fleet, increase productivity and highlight areas for improvement while providing a safer working environment.